Summers in Pennsylvania can get extremely hot at the height of the season. Without air conditioning, it may seem unbearable. You can try fans or spending time outside in the shade, but sooner or later, you’ll miss that cool air. For air conditioning system installation service in Central PA, the company to contact is Zimmerman Plumbing, Heating, and Air Conditioning. 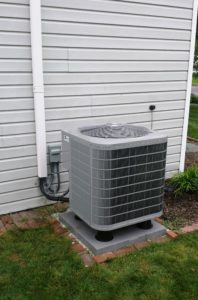 Those who live in the area know for the best A/C installation service in the greater Harrisburg area, Zimmerman is the name you can depend on. What Kind of Air Conditioning System Do You Need for Your Home? Do you know what type of air conditioning system is appropriate for your home? If not, you could be working with the wrong system right now. Having the wrong air conditioning system in place could result in inadequate cooling or inflated energy costs — that’s why it’s ideal to have a trained HVAC professional examine your system and make sure the air conditioner you have is appropriate. The most important factor to consider is size. An air conditioner that’s too big for your home will waste energy, and one that’s too small won’t be able to cool the entire house. At Zimmerman Plumbing and Heating, we will come to your home and assess your specific air conditioning needs to ensure the best A/C installation options for your home. If you need a new air conditioning system, wouldn’t you want it from the company that the community has awarded the title of Simply Best Plumbing and HVAC contractor from 2005 through 2017? A local, family-owned and operated company you can trust to find the perfect air conditioning system for your home and install it the right way? Zimmerman Plumbing and Heating has it all when it comes to air conditioning installation. We have fully vetted, drug-free technicians with proven expertise in air conditioner installation — never a subcontracted job. We have a factory-trained, NATE-certified team through and through. Call us to schedule service and we’ll arrive on-time with friendly, courteous technicians who will explain the entire process, install your system efficiently, make as little mess as possible and clean up after themselves. We even verify the service with a 21-point system check. Once we’re done and you’re satisfied that the system is working the way it should, we’ll leave you with our one-year money back guarantee. You’ll be able to relax knowing that the system is going to work the way it’s supposed to, and if for some reason it does not, we’ll be right back to adjust it until it does. 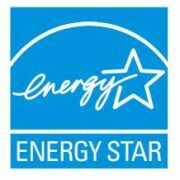 According to a 2014 study by the National Institute of Standards & Technology, new unitary air conditioning systems consume 30-40 percent more energy than they should if the equipment is not properly sized, the ducts are not designed to deliver precise airflow, or if the refrigerant level is inaccurate. If these basic installation elements are not followed, then the equipment will not function according to its lab-tested and labeled efficiency – a problem the Environmental Protection Agency believes affects most U.S. homes. 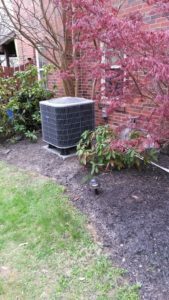 The best time to install your new air conditioning system is before the summer starts. Once things get hot, the schedule can fill up and you may not get your installation as quickly as you’d like. But don’t rush into a 10+ year investment just because your hot, we will loan you portable air conditioning units if there is a delay at no charge! If you’re ready to get started with Zimmerman Plumbing and Heating, you can do so with no commitment. Just contact us online to request an estimate. The estimate is free and comes with no obligation, so you can decide when you want us to install your new air conditioning system. For quality air conditioning system installation in the greater Harrisburg to keep you cool all summer, contact Zimmerman Plumbing Heating today. Slim duct cover to protect the insulated line-set and provide a more aesthetically pleasing installation. New electric disconnect or whip. New correctly sized wire and properly sealed penetrations. Heavy duty poly-pad base installed on every applicable outdoor unit, leveled with a stone base. Weather legs installed under every unit to better protect the unit from snow, debris, and critters.